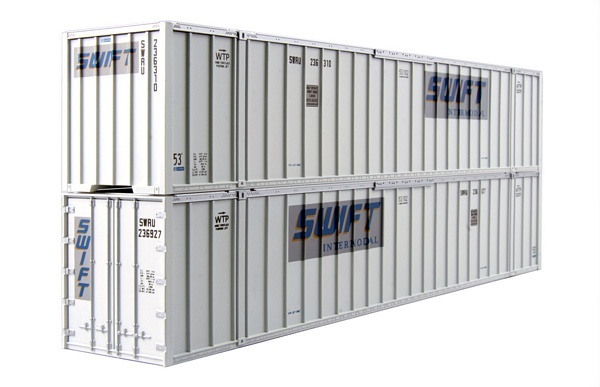 This is the Swift 53ft Intermodal Containers set of 2 from Kato. Two pack of our 53' intermodal shipping containers equipped with magnetic plates for smooth interlocking, marked in SWIFT lettering. These are NOT real life containers, they are toy containers.